It was only a matter of time till we had a fanatical outburst about this contemporary classic. 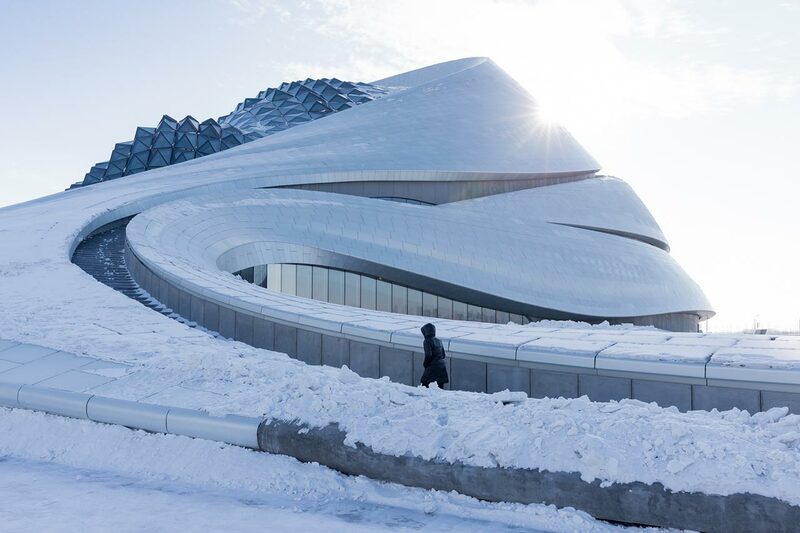 The Harbin Opera House by Beijing-based firm, MAD Architects is a sculptural masterpiece. 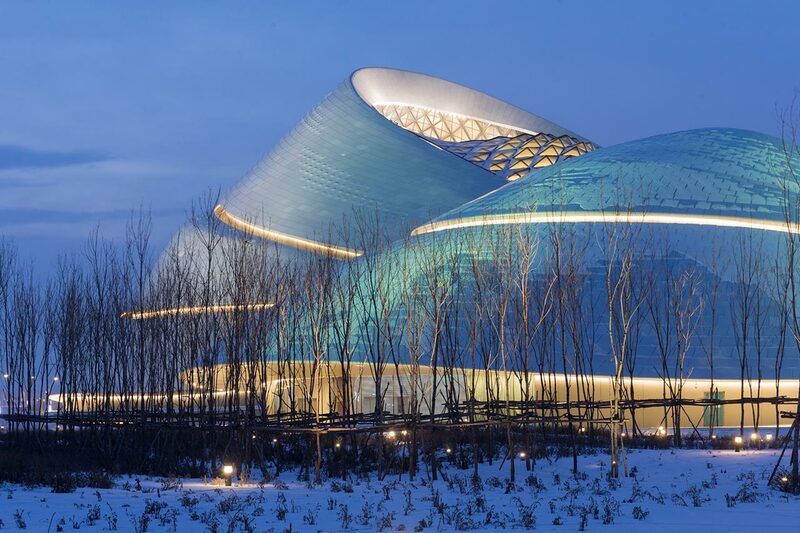 Located in the Northeast Chinese town of Harbin, it was conceptualised in the form and spirit of the place’s wilderness and frigid climate and thus it’s fitting that it appears frozen in motion. With purely hedonistic intentions, we take a moment to celebrate this inhabitable piece of art. 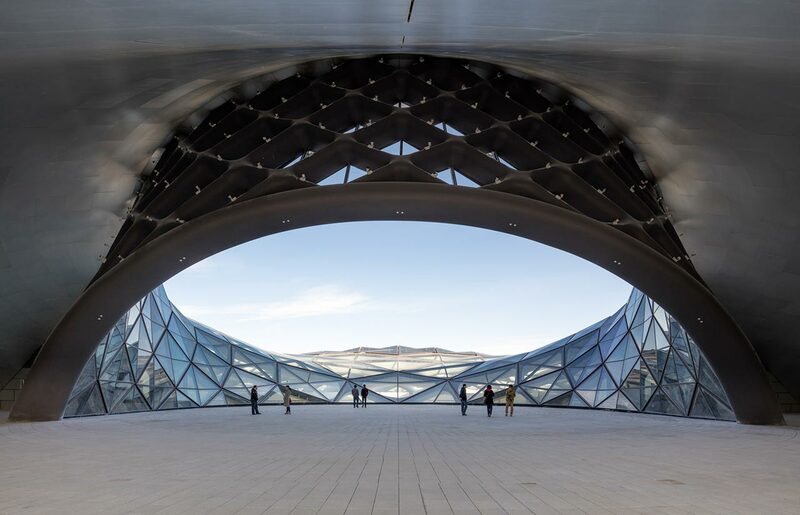 At first glance, one might have different perceptions of the space and sculptural presence of the building. It appears as a crisp white scarf dropped on the floor; the folds and contours it creates feel naturally animated, with a yellow warmth glowing through every nook and cranny. A different vantage point offers a different narrative; one of a frozen dune emerging from the horizon. 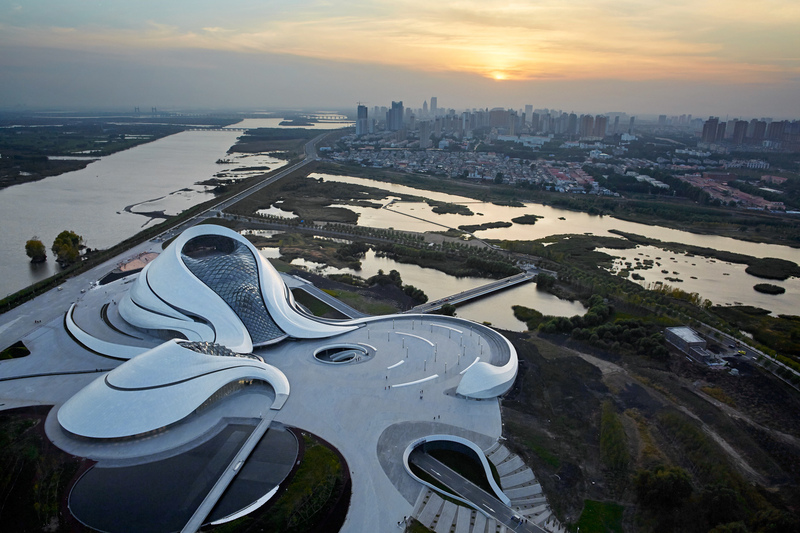 MAD Architects are known to pursue the notion of “architecture as landscape” and generally create seamless flows between the interior and exterior spaces in their buildings. Beyond traversing thresholds one is almost constantly questioning which side of the line they are walking on. 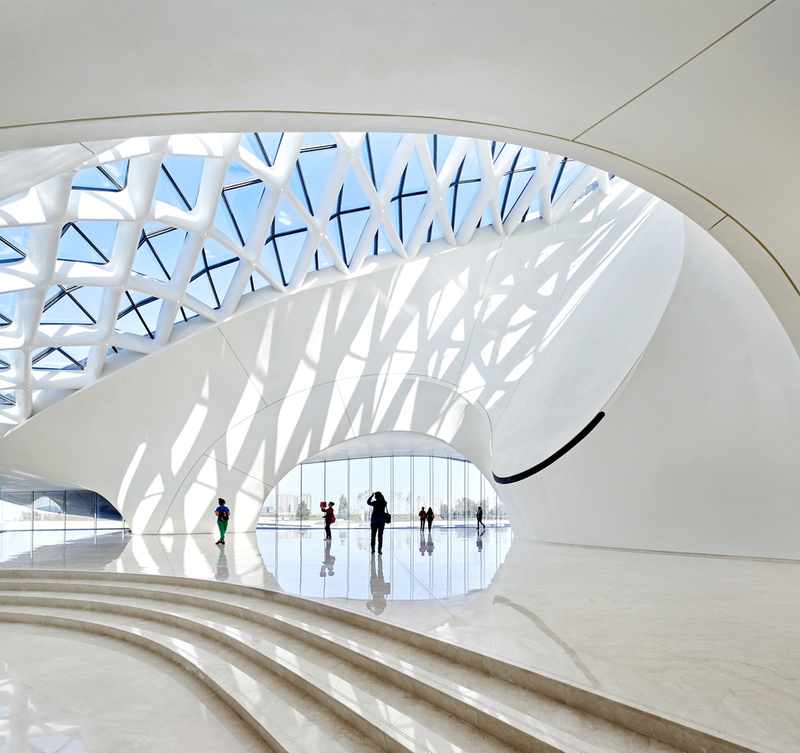 Moving inside, outside, over and under as one moves from point A to point B creates a dynamic experience of the building’s form. BeFront is a hybrid showcase of art, architecture and film. 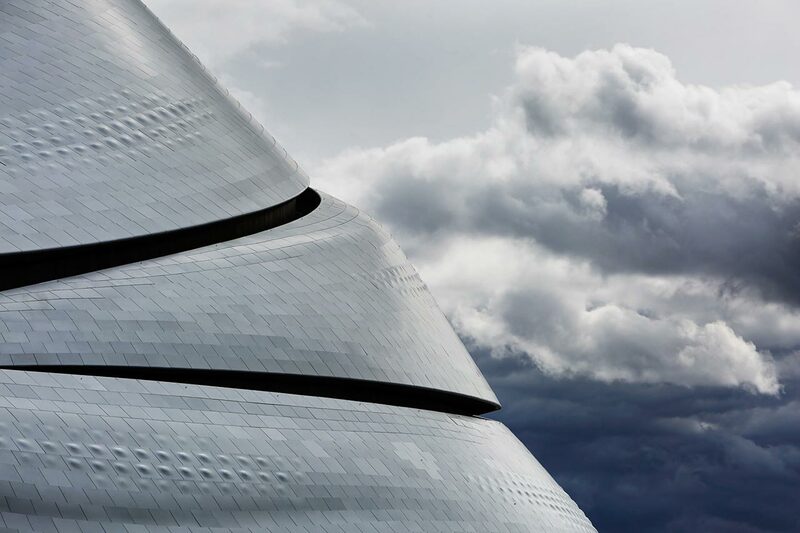 A platform for critical explorations of classic and contemporary design cultures. Ikire Jones: Africa 2081 AD.